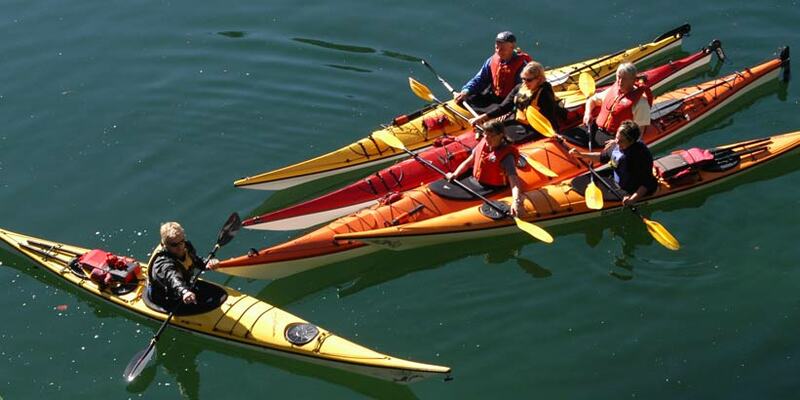 Deep Cove Kayak Centre is Vancouver’s premier paddling location for kayaking, stand up paddleboarding and surfskiing. With one of the largest fleets in Canada, we offer rentals of high quality single and double ocean kayaks, stand up paddleboards (SUP) and surfskis that will suit a wide range of paddling styles and experience levels. We also offer a multitude of lessons and tours for kayaking, stand up paddleboarding and surfskiing which cater for beginners through to experienced paddlers. We are open from April to October weather depending, but usually 7 days a week from May through September. If you want to save time on check in, our regular waiver forms can be found by clicking here, and our parental consent forms here. We are located only 20 minutes from downtown Vancouver by car, and are easily accessible by public transport. Deep Cove is a beautiful place to spend a day, a week or a lifetime, exploring the stunning scenery from the water and from on land. We will give you an unforgettable experience no matter what your experience level is but don’t take our word for it – come and check it out yourself! For 2019 we are offering our Jr Level 1 Kids Camp for 7-9 year olds on weekends! Our super popular tour is back for 2019 to take you out on the water at night - every Friday from June 7th.